The visuals in this piece are just beautiful. Vessel - Jon Hopkins from Alba G. Corral on Vimeo. visual generative art and live performances in the live context cinema. abstract organic sensations in their creations take shape Processing carried out with the tool. 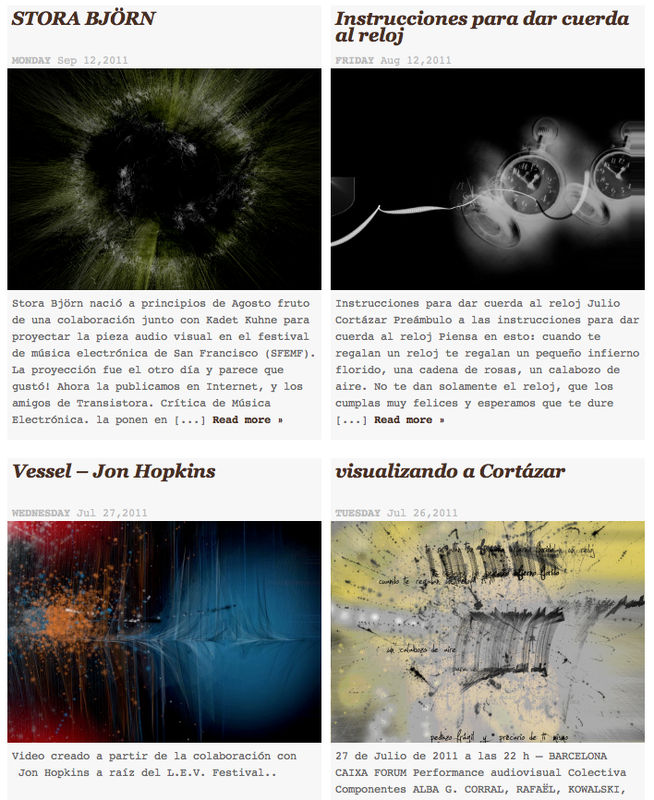 Regularly collaborates with musicians of the Barcelona scene as Miguel Mar�n, Stendhal Syndrome, or Nikka Aneas Iris, co which is the audiovisual project The Space in Between."